Christopher Hogwood, the conductor, who has died aged 73, was the founder of the Academy of Ancient Music, one of the first and best-known period instrument orchestras. His aim, he said, was to perform baroque and classical music in the style and spirit in which it was originally heard in the 17th and 18th centuries. Based on Hogwood’s extensive scholarship, Bach was now played on violins with gut strings rather than steel; Beethoven was heard without vibrato; and Mozart piano concertos were brought to life on fortepianos. Meanwhile, valveless horns and baroque violins brought a lighter, crisper sound to the concert hall than audiences were used to. The Academy was first heard in 1973; before long a collection of decidedly de-romanticised Mozart symphonies established the group firmly on the musical map. Hogwood’s timing could not have been better. The major labels had long-since recorded most of the classical repertoire, often several times over; now they competed to reproduce the most authentic sounding music. In 1985, Hogwood’s LP of Vivaldi’s The Four Seasons rubbed shoulders in the pop charts with Prince’s Purple Rain; the latter was named best film soundtrack at the Brit awards, while Hogwood’s disc was best classical recording. For Hogwood the early music recording bonanza brought not only an escape from what he dubbed the “brown rice and open-toed sandals” image that had hitherto accompanied the drive for authenticity in music, but also fame and substantial royalty cheques, which he ploughed into a remarkable collection of historical instruments that included clavichords, spinets and virginals. He was by no means the only musician to march into the utopian paradise of the early music landscape. While John Eliot Gardiner and Nikolaus Harnoncourt were promoting their brands of authenticity, and Roger Norrington was presenting his Experience weekends dedicated to a single work, Hogwood became a name more widely known to the public at large thanks to a parallel broadcasting career that included 12 years presenting The Young Idea on Radio 3. In addition to campaigning for performances on original instruments, which he once compared to the Campaign for Real Ale, Hogwood also succeeded in drawing pure, original sounds out of modern instruments. “He didn’t have the greatest conducting technique,” Ernest Fleischmann, who invited him to conduct the Los Angeles Philharmonic in 1981, told People magazine in 1986, “but he’s the most stimulating force in years.” Meanwhile, Lincoln Center in New York declared that there was “never an unsold seat for a Hogwood programme”. For Hogwood, who was once described by his own publicist as “the von Karajan of early music”, life was as much about scholarship as it was about performance. He published books on Bach and Handel, prepared monographs and edited urtext editions, and made a speciality of tracking down handwritten scores in an attempt to establish what the composer’s original intentions had been before editors, publishers and performing tradition had intervened. Christopher Jarvis Haley Hogwood was born in Nottingham on September 10 1941, the eldest of five children. His father was a scientist and his mother a legal secretary. He was educated at Nottingham High School and The Skinners’ School, Tunbridge Wells, taking piano lessons but not pursuing music seriously. He read Classics and Music at Pembroke College, Cambridge, taking lessons from Thurston Dart, Raymond Leppard and Mary Potts and spending one summer touring the country in a former laundry van to demonstrate a collection of medieval instruments. He then spent a year in Prague on a British Council scholarship studying the harpsichord with Zuzana Ruzickova. Back home, Hogwood and a group of friends helped David Munrow to set up the Early Music Consort of London, a group that performed renaissance and medieval music, recorded the themes for the BBC series Elizabeth R and The Six Wives of Henry VIII and continued until Munrow’s death in 1976 at the age of 33. In the meantime he also pursued keyboard studies with Gustav Leonhardt in Amsterdam. For some years Hogwood played continuo for Neville Marriner’s Academy of St Martin in the Fields, an orchestra that sought to demonstrate that a serious classical symphony could be played by an ensemble of 25 instead of 75. But in 1973 he went his own way, setting up the Academy of Ancient Music, which takes its name from a group which met at the Crown and Anchor tavern in the Strand and existed from 1726 to 1792. The new ensemble was heavily championed by Peter Wadland, a producer from L’Oiseau Lyre label, who ensured that it had a steady stream of recording work. Soon the Academy was appearing at the South Bank and, in 1978, made the first of eight appearances at the Proms over the next two decades. By 1980 — after overcoming objections from the Musicians’ Union to Hogwood’s hiring overseas musicians — the Academy was firmly riding the bandwagon of what Andrew Porter later dubbed “historically informed performances”. There were themed titles under the Folio Society banner, carefully aimed at middle England, such as Venice Preserv’d (music by Monteverdi, Gabrieli and Vivaldi); Music at Court (Byrd, Dowland and Bach); and Music from the Armada Years, which included works by both Spanish and English composers from the reigns of Philip II and Elizabeth I respectively. Hogwood was never shy of giving an authentic spin to well-known works. Joan Sutherland was the unlikely soloist in Handel’s Athalia, while Emma Kirkby joined a pared-down rendition of Messiah that would have been barely recognisable to the nation’s large-scale choral societies. A generation later Cecilia Bartoli stepped up to the microphone in Handel’s Rinaldo, while Beethoven’s five piano concertos were recorded with Steven Lubin using instruments that the composer might have recognised but a modern-day concertgoer was unlikely previously to have seen or heard. Overseas, Hogwood took his interpretations to the New World, adding the artistic directorship of the Handel and Haydn Society in Boston, Massachusetts, to his portfolio in 1986, while his appointment as principal guest conductor of the Basle Chamber Orchestra in 2000 meant discovering the neoclassical and neo-baroque compositions of the 20th century, many of which had been commissioned by Paul Sacher, the Swiss music patron. 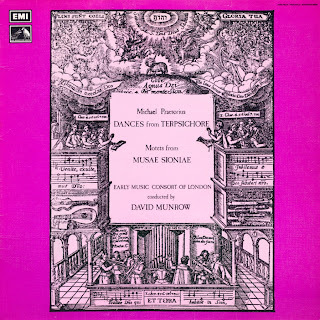 Suddenly, sitting among recordings of Purcell, Haydn and Schubert, there were discs of jazz ballets by Martinu, concertos by Stravinsky and suites by Bizet. So mainstream had the early movement become that even the Royal Opera House opened its pit to him — including, in 2001, a sold-out run of Haydn’s L’Anima del filosofo starring Bartoli. Yet Hogwood could turn on a sixpence when the occasion demanded. A record company did not want Beethoven’s Seventh Symphony pared back to a small orchestra? He would deftly double the forces (in the style of a von Karajan orchestra) and declare it to be a historically accurate re-creation of a “festival” orchestra. “The results are splendid,” he announced. In 2006 Hogwood handed over the baton of the Academy of Ancient Music to Richard Egarr ; four years later he was appointed professor of music at Gresham College, a post that dates back to the time of Elizabeth I, delivering six public lectures on “aspects of authenticity” in his first year alone. Hogwood, who was once described as “only half-heartedly living in the modern world”, lived in a rented 1840s house in Cambridge surrounded by books, watercolours and instruments. To mark his 70th birthday in 2011 a group of friends and colleagues published The Maestro’s Direction: essays in honour of Christopher Hogwood. He was appointed CBE in 1989. Hogwood, who described his faith as being somewhere between Anglican and Catholic, had a 15th-century house in Tuscany and a 14th-century chateau at Aveyron, in the south of France, where he kept two donkeys: Paco and Rabanne. Sy Montgomery, the American naturalist and author, named her pet pig after him, penning a memoir, The Good, Good Pig (2006), that achieved brief notoriety. When the porcine Hogwood died, the musical Hogwood placed a link to its obituary on his website. Hogwood was separated from his civil partner, the film director Anthony Fabian, and is survived by three sisters and a brother.